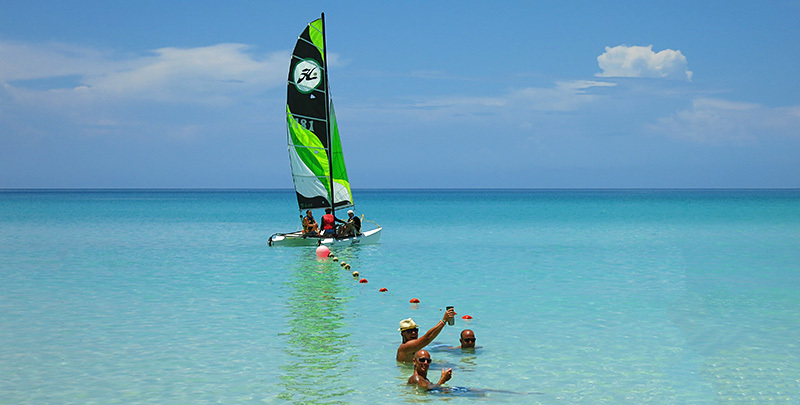 All the Cayo excursions can be arrange a day before in your hotel lobby. Departure by bus at 9:00 am from hotel, arrival to Cayo las Brujas from where weigh anchor on board of a catamaran in a cruise surrounding small key and neighbouring islands. The trip is frequently animated by dolphins and birds. San Pascual an old cement made ship, aground in the area since 1933 is one of the kind that were built after the first World War. 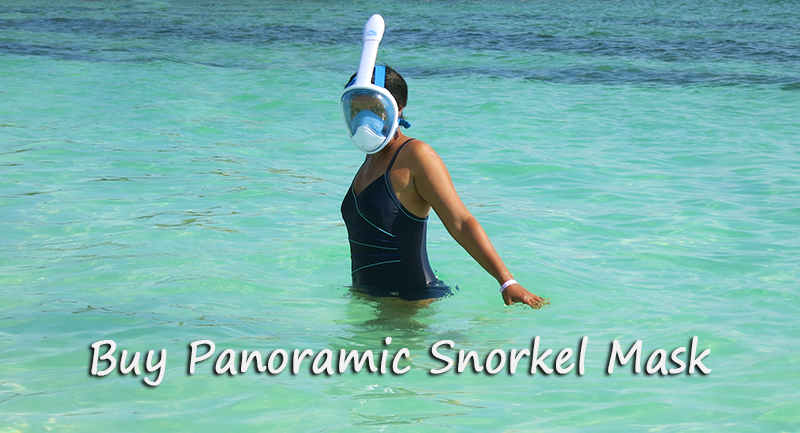 Snorkeling is available during the cruise. Snorkelling session in warm and transparent waters, in areas of the second biggest coral reef of the world inhabited by complex and colored forms of life. A second Snorkelling session after sailing back to the port. 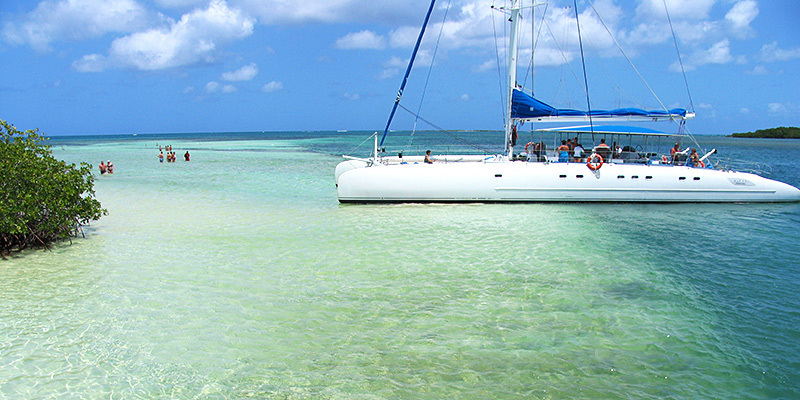 With shallow reefs and crystalline waters providentially offers excellent snorkeling and scuba diving opportunities. Snorkeling spots: Fragoso, Cobo, Frances Frenchmans, Las Brujas - The Witches, Borracho - Drunkards, Espanol de Afuera, Los Diablillos - Little Devils Ensenachos, Santa Maria and Los Caimanes Cays. Experience the wonders of the Cuban coral reefs and colorful marine life. Departure by bus at 16.30 from hotel, a different way to finish the day with an special Catamaran Cruise full of romantic moments on board of a catamaran surrounding the neighbouring islands of Tio Pepe and Frances till the ship San Pascual a vessel aground in the zone since 1933 and a rarity of the naval engineering. Open bar during the cruise with music and drinks: beer, soft drinks, water, Cuban rums and lost of fun. Lobster dinner on board to maintain the marine atmosphere, arrival back to hotel at 9 pm. If you are looking for an adventure that is physically active yet relaxing, mentally stimulating and spiritually uplifting, scuba diving and snorkeling amid the wonders of Cuban coral reef may be the ultimate answer. 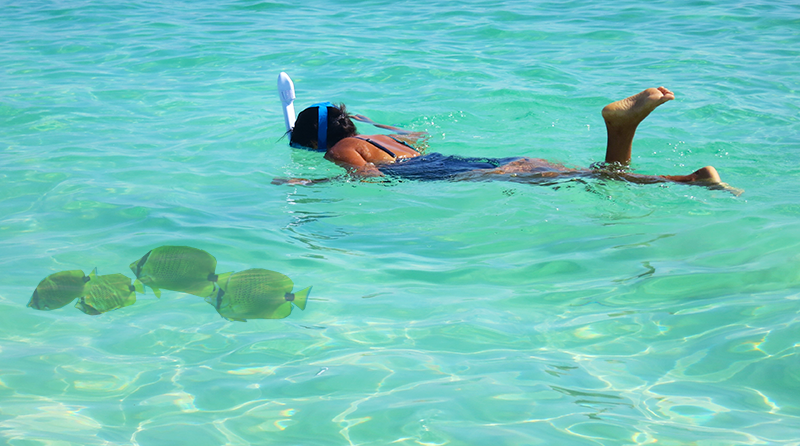 Cayo Santa Maria has 20 miles of beautiful coral gardens, colourful tropical fishes. Scuba Diving is available from Monday to Saturday, departing from hotel at 8:00 am. Each boat can accommodate two people, the boat driver must be 18 years old, life jackets are provided. Departure by bus at 9:30 am and 2:00 pm from the hotel. Return to hotel time: 12:30 pm and 5:00 pm Navigate own Speed-Boat through the mangroves between the islets of Cayo Las Brujas, Cayo Tio Pepe and Cayo Frances. 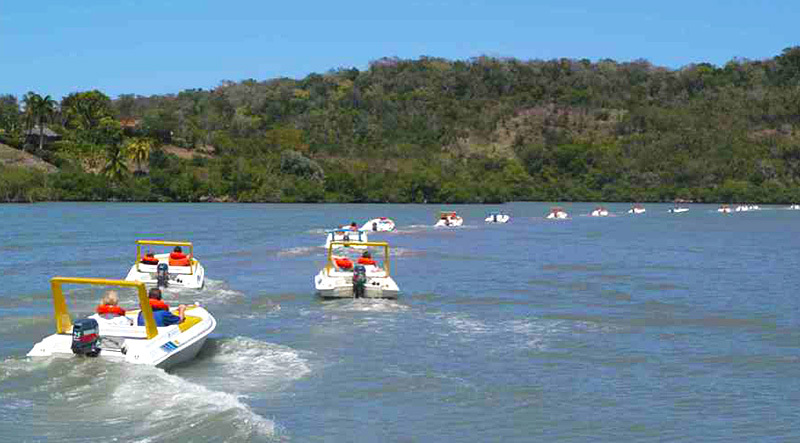 Speed-Boat adventure combines the thrill of riding on the Speed-Boat and to observe the rich fauna and flora of the Cayos. 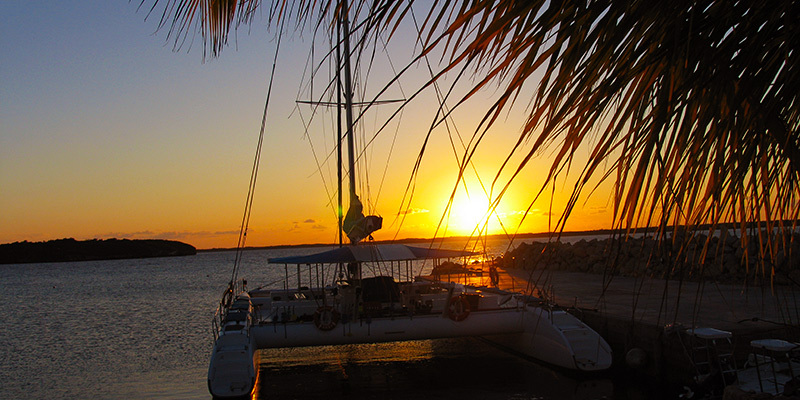 From the Marina in Cayo Las Brujas charter own fishing boat, crew and open bar service. Professional guide helps for successful fishing, you may catch: barracuda, mackerel, jack, grouper or snapper, there is no limit. Ride on Jetski in crystal clear waters between Cayo islands, departs from the Marina in Cayo Las Brujas in the morning. Departure by bus at 7:30am from hotel, short stop in the tower Manaca Iznaga, symbol of the glory shown by most powerful families in the Cuba sugar aristocracy of the XVIII century. From their 42 meters high the Valley of the Sugar Mills is sighted world Cultural Heritage. After lunch a walk in Trinidad, town with all the charm and splendour of its colonial past. Enjoy the privilege to walk its paved streets, admire majestic colonial constructions, visit in museums and a tavern with Cuban traditional music and where the swing of the city is served: Canchanchara. 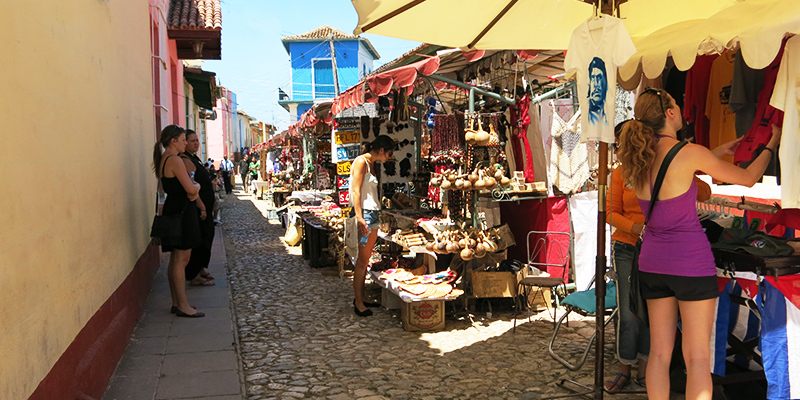 Time in the handicraft market with varied works of the local culture. Arrival back to hotel at 6:30 pm. All hotels in Cayo Santa Maria offer scooters and cars rentals. Rent a scooter and discover Cayo Santa Maria and surrounding islands, is easy, affordable and is a lost of fun. Scooters and Bicycles rental can be arrange in all hotel. Bicycle rental is free in your hotel. Driving is an excellent way to travel around Cayos, and to discover beauty of the Cuban island, you can pick up your car in all the hotels or airports. Its always less expensive to rent car ahead of your travel. Jeep excursion start from visit a chicken farm, after drive in beautiful landscapes and see animals: flamingos, crocodiles, iguanas, and peacocks. Stop for lunch is at the Rancho Querete a typical Cuban lunch: pork, sweet potatoes, rice with black beans, fruits and coffee. You will have a chance to swim in a small waterfall. There is time for a horseback rides. Jeep safari excursion from 8:30 am to 6 pm, each jeep accommodate four people. Cayo Santa Maria offer long walkable stretch of beach without any obstacle, some stretches of beach are separated from each other by short rocky sections. Those long beaches are a walker's paradise, the beaches are made up of very fine white sand and clear turquoise water. Bus Tours scenic round trip service, connect all hotels and major attraction spots in Cayo Santa Maria, Cayo Ensenachos, Cayo Las Brujas and all the pueblos: Las Dunas, La Estrella, Las Terrazas and Las Salinas.